Soda fountains and checkered floors are retro, but Full Sail Malted Milkshake-Style IPA is anything but. 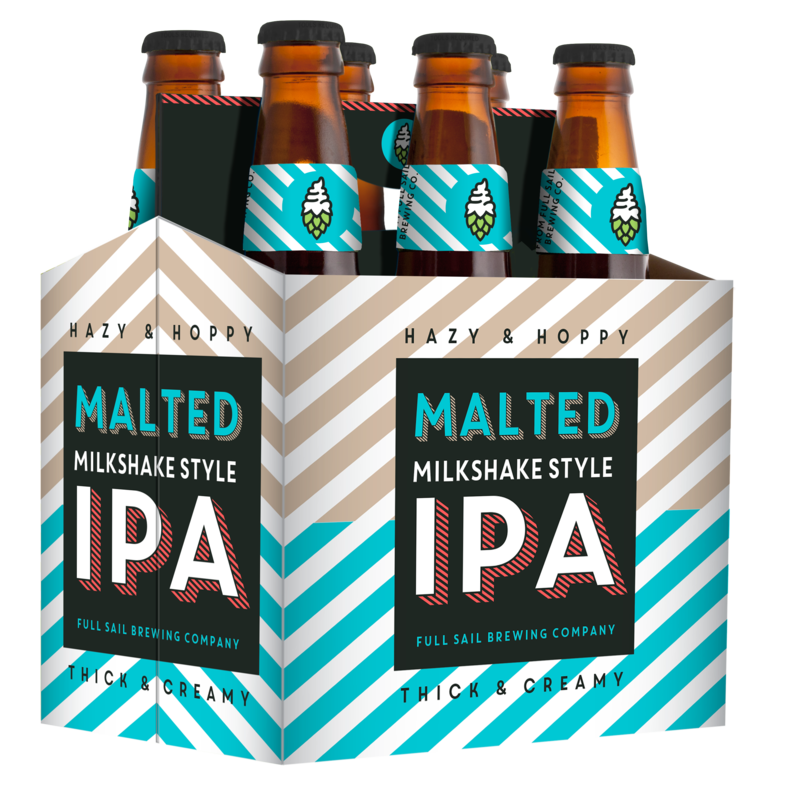 Knowing it was time to shake things up on the IPA front, we have launched our brand-new, milkshake-style IPA brewed with lactose, malted barley and oats. A touch of natural vanilla is the proverbial cherry on top. The popularity of milkshake-style IPAs has been growing exponentially and Full Sail was confident its master brewers could add to the category in an original way. Nonfermentable lactose (milk sugars) provide a full-bodied, smooth creaminess while the yeast strain creates a hazy, fruit-forward beer. Big juicy flavor and big juicy hops stand out in new Malted Milkshake-Style IPA brewed with Ekuanot, Denali, Comet, Citra, and Cascade hops, and 2-Row Pale, Wheat, and Oats. Full Sail is known for brewing balanced and ridiculously tasty beer, and new Malted Milkshake-Style IPA is no exception. It’s a hazy, fruit-forward IPA with notes of sweetness from lactose and a hint of vanilla. 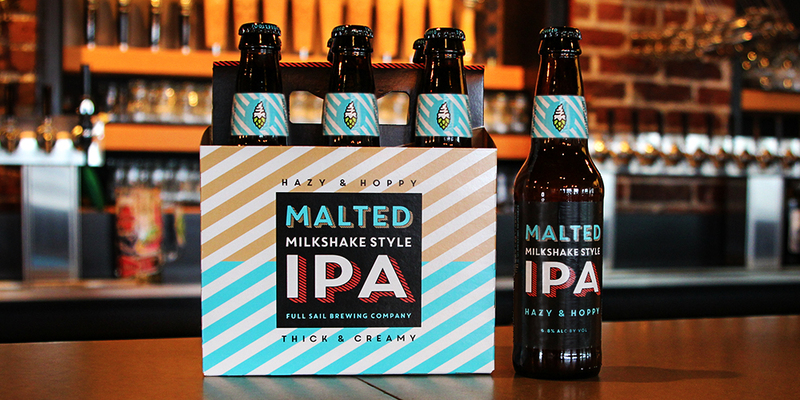 Full Sail Malted Milkshake-Style IPA is available now in 6-pack bottles, in the Full Sail Trophy Case and on draft. 6.8% ABV, 40 IBUs.